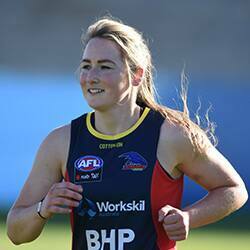 From Ireland, Considine is Adelaide’s first international women’s player. 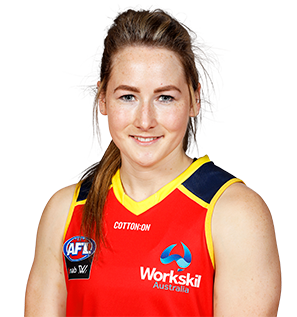 She is a talented Gaelic footballer with Clare and Kilmihil in Ireland’s mid-west region and is also part of the AFL Ireland Women’s West Clare Waves team. 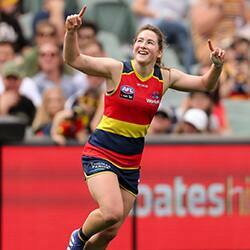 Was signed by the Crows as a rookie after being part of the CrossCoders program. Can kick on both sides of her body.